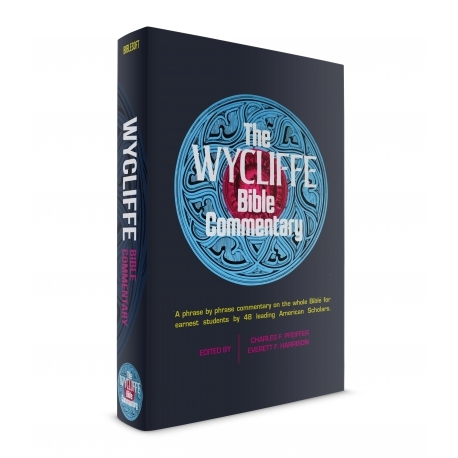 The Wycliffe Bible Commentary is a commentary on the whole Bible written and edited by a number of scholars representing a wide cross section of American Protestant Christianity. Within the limits of its more than a million and one-quarter words, it attempts to treat the entire text of the Old and New Testaments on a phrase by phrase basis. In addition, summaries of the major sections of each biblical book generally appear in the text in connection with the main headings in the outline. Thus, the reader is permitted an overview and detailed discussion of a passage of Scripture at the same time. Note: This add-on was included in all PC Study Bible libraries prior to Version 4 (version 3 or earlier). If you owned a previous version of PC Study Bible and upgraded to Version 4, you already have this add-on. However, if you purchased a new Version 4 library, your library does not contain this add-on.